Olivia McCann in Culture & Arts Editor's Picks Television on 22 March, 2019. 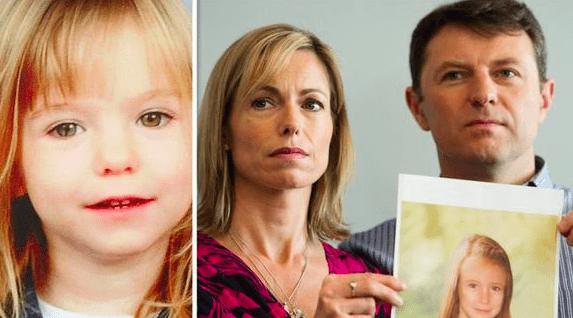 Over a decade on and the case of Madeleine McCann’s disappearance remains one of the most unfathomable mysteries of the 21st Century. The vanishing of the three-year-old British girl from a holiday apartment in Portugal has become one of the most high-profile missing person cases in the world. At the time of her disappearance in May 2007, it was impossible to be oblivious to the incident. The chilling story generated true tabloid hysteria with every update on the case making breaking news. With investigations still ongoing 12 years later, the enigmatic case has attracted countless conspiracy theories, spurred on mostly by social media. As a result, Madeleine’s story has become one of sheer sensationalist hype. 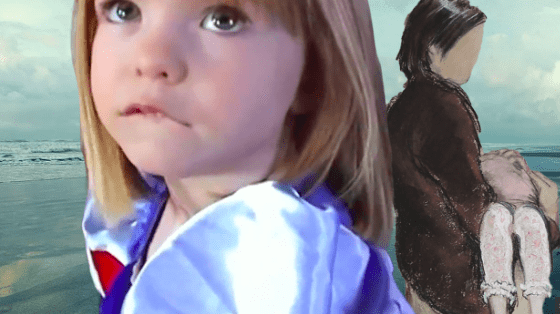 Personally, I can’t help but think that Netflix’s eight-part true crime documentary, The Disappearance of Madeleine McCann, has been a cash-in on the public’s enduring obsession with the investigation. There was a distinct lack of publicity in the lead up to the documentary’s release with the trailer coming out only the day before. The pre-show publicity interviews we have come to expect prior to the release of highly anticipated Netflix shows were, for this particular documentary, non-existent. But arguably, a topic so sensitive and controversial needs no promotion. And indeed, the series has received a powerful enough negative reaction to publicise the documentary itself. Netflix has received a strong negative response from critics arguing that the documentary is merely a cash-in on the recent popularity of true-crime series, one of the most popular categories among users of the streaming service. I have to agree with this backlash – I struggle to understand what purpose this documentary serves but to satiate the viewers’ appetites for the fast-growing genre. Where the documentary fails the most is the absence of a point of view. The programme is merely a compilation of archival news footage and interviews with people connected in some (often tenuous) way to the incident and offers very little in the way of an argument. Even though Netflix claimed we would see ‘never-before-heard testimonies from those at the heart of the story’, there’s no new insights offered. A large proportion of these ‘testimonies’ are completely irrelevant – I fail to understand how the accounts of journalists reimagining their rush to get to the story actually adds anything to our understanding of the case. The show’s director Chris Smith explained in an interview with the Atlantic that the show’s function is ‘to take the viewer on the journey that the public went on’ but, quite frankly, I think the inclusion of superfluous details presents the story in a melodramatic and sensationalized fashion. That is not to say that documentaries which report the details of a missing child shouldn’t be aired – but Netflix’s decision to draw out one incident – about which we know little confirmed facts – over eight hour-long episodes does make the documentary seem like ‘a pot stirrer on the feverish public fascination’. The fact that the series can only offer us suppositions and theories is what makes the premise problematic. After the recapping of the story in the first episode, it seems like there is not much more that can be added. And indeed, that is the issue. There is no end to story and so the documentary cannot come to any certain conclusions – the only conclusions we can form are our own. In this way, the series encourages us to conjure up with our own conspiracy theories – which, to me, appears to sinisterly play to the public’s fixation on the story and its surrounding speculations. Overall, the series seems to me rather formulaic – emulative of previous true crime documentaries which have been huge successes for Netflix. For the few who are unaware of the ins and outs of the case, the documentary offers an immense amount of information. It seems the true aim of the series is not to solely inform viewers of the details of the events, but to entertain us with disturbing theories and chilling reenactments. Indeed, Netflix’s sensationalism of the story distracts the viewer from the fact that this is a real-life case which, for me, is a truly sinister moral overlook.